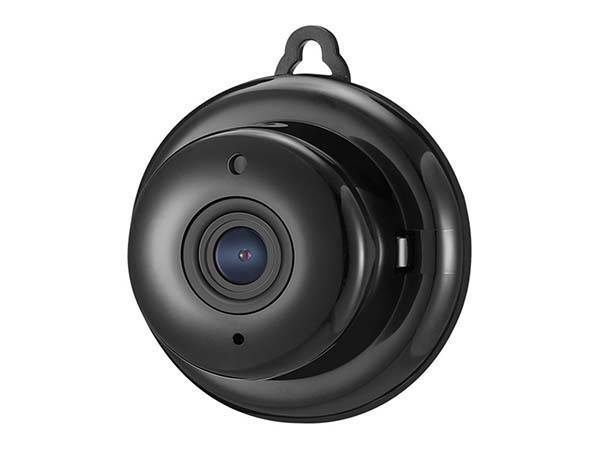 Using motion detection, night vision and two-way audio Digoo mini home security camera Digoo’s mini home security camera not only monitors your home, but also allows you to make video chat with your family wherever you’re. Need more features? Let’s keep checking. This is a budget-friendly WiFi enabled home security camera that measures 2.76 x 2.36 x 3.15 inches and weighs 0.22 pounds. As we can see from the images, the security camera shows off a low-profile and discreet appearance design, and its compact form factor and integrated attachment allow you to easily mount the mini camera on any wall in your house. The home security camera comes equipped with a wide-angle lens with 115-degree FOV and intelligent digital zoom in order to cover most area of a room, and its 10 IR LEDs night vision ensures the surveillance camera is able to guard your home day and night. Furthermore, its integrated motion sensor allows it to automatically detect various motions, and its intelligent alerts provide real-time notifications with captured images via your smartphone. Moreover, the security camera also seamlessly streams video and two-way audio directly to your smartphone for real-time monitor and video chat. 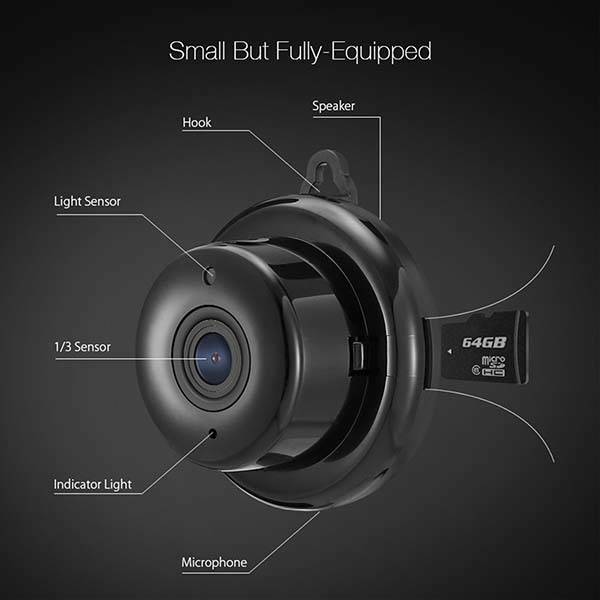 In addition, the security camera also features 960p video recording at 25fps, and its microSD card supports up to 64GB memory card with FAT32 format. The home security camera is priced at $29.99 USD (on sale). If you’re interested, jump to Amazon for its more details. BTW, don’t miss the movable smart security camera and more related gadgets by following tags.